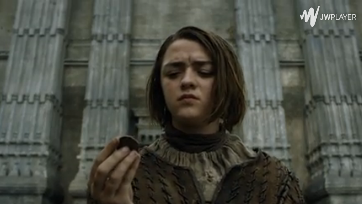 Arya is frustrated with the lack of training she is getting, and learns the hard way that in order to be no one, she has to bid her old self goodbye. 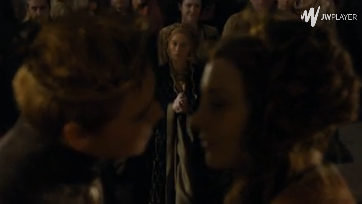 Tommen marries Margaery, making her queen once again. She then begins to turn him against his mother. Roose reflects on the danger they would face if the families of the north united against them. Petyr reveals his master plan of wedding Sansa to Ramsay, much to her revulsion and dismay. She carries on with the plan and goes back to Winterfell after a long time, but it is not the same home that she remembers. Brienne warms up to Podrick and promises to train him as a proper knight. Jon Snow stays true to his oath to the Night’s Watch and refuses Stannis’ offer. Cersei turns against the High Septon and finds a new ally in the High Sparrow (Jonathan Pryce), effectively gaining a stranglehold of both church and state. Tyrion forces Varys to wander about in Volantis, where Ser Jorah happens to be staying. 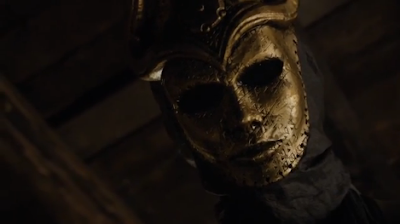 He abducts the imp once he is out of Varys’ sight and tells him that he’s taking him to the queen. 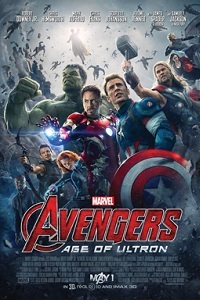 The Avengers charge into Eastern Europe to retrieve Loki’s scepter in war-torn Sokovia, where they come face to face with Hydra’s secret weapon, the twins Wanda (Elizabeth Olsen) and Pietro Maximoff (Aaron Taylor-Johnson). To quote Maria Hill (Cobie Smulders), “He’s fast and she’s weird”, and she effectively utilizes this weirdness to play a key role in manipulating the team by giving them a glimpse of their greatest fears. So strong is that of Tony Stark (Robert Downey, Jr.) that it prompts him to pursue his Ultron initiative, an AI defense system that will put the weight of the world’s worries out of their shoulders. Proving to be hostile and overwhelming JARVIS in the process, Ultron goes rogue and decides that it’s time to cleanse the Earth of what has been plaguing it since forever: Humans. But first, he must get rid of everyone in his way, mainly The Avengers. Podrick and Brienne run into Sansa and Petyr Baelish, but are faced with the same trust issues they had with Arya and the Hound. Cersei receives a veiled threat from Dorne. Ellaria Sand (Indira Varma) is vowing revenge for Oberyn’s death, but Doran Martell (Alexander Siddig) won’t let her touch Myrcella. Jaime vows to get his daughter back and enlists the help of Bron for his quest. Stannis offers Jon Snow official status as a Stark, Lord of Winterfell, if he pledges his services to him. He is tempted, but doesn’t give in. A vote is cast at Castle Black naming him as their new commander. Arya finally reaches Braavos but is refused at the doors of the House of Black and White, only to be accepted later on to commence her training. Ser Barristan warns Daenerys against the excessive use of power and how it corrupted her father, leading to the Targaryen dynasty’s downfall. An unpopular decision earns her the ire of the people of Meereen. In her time of despair and confusion, she gets a rather short visit from Drogon. When her infamous breakdown video at the airport goes viral, Marketing Head Georgina (Toni Gonzaga) sets out to salvage what is left of her reputation, whatever the cost. In her last ditch attempt to seal a critical deal with an important client, she makes up for the absence of the company president by forcing his assistant, Pong (Coco Martin), to pretend to be him, spinning an intricate web of lies that will probably come back to haunt them later on. As the two of them switch roles, what starts off as mutual hatred slowly turns into admiration, but their blossoming love affair does not come without obstacles. She is still hung up on her ex-obsession, and when he comes back for a second shot, she is forced to choose between something that she has always wanted but never had and something relatively new yet real enough to be called love.